Let's take a look at what's inside! This is sort of a one-and-done facial cleanser that removed makeup, dirt, oil, and impurities that naturally exfoliates and has a low enough pH to use on it's own and even daily. It has a spongey gelatin texture that I find fun and surprisingly easy to work with. It's an older rose scent, like that of rose oil - it's not a fresh cut roses smell that I personally would have preferred. Even though this cleanser has the ability to remove makeup, I like to use an oil cleanser before this one to make sure this cleanser has a change to really deep clean. I find it to rinse away very easily, but makes my face feel a bit tight and fills my sink with soap suds, which leaves me to believe that this cleanser has a heavy soap base. Either way, it makes my skin feel soft and clean, and has not caused a break-out, so I am happy! 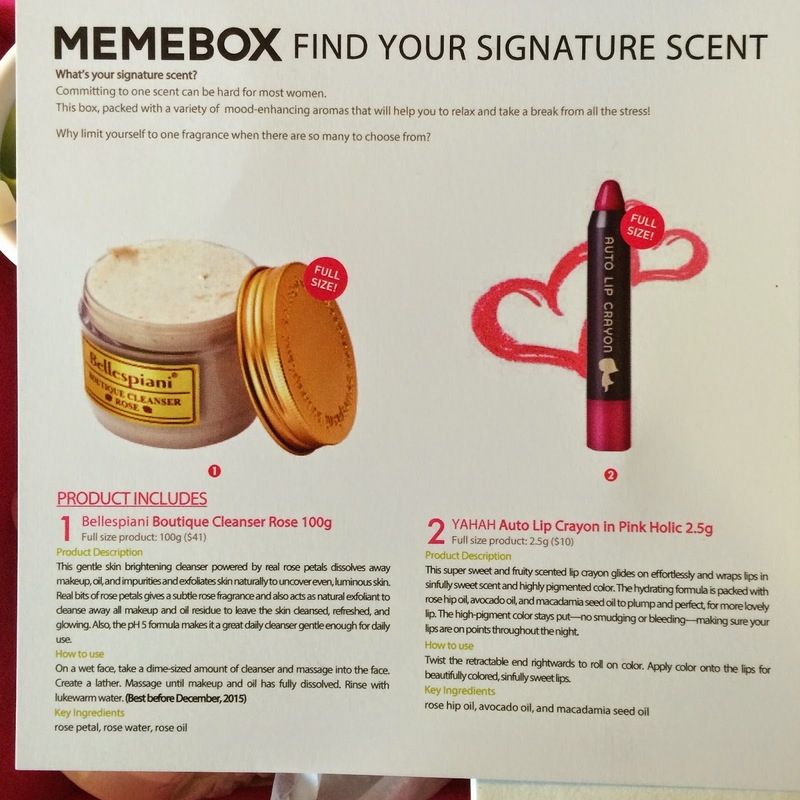 This surprised me the most from this box - what was Memebox thinking throwing a lip crayon into a scent box? Then I read the card and saw that it was fruit scented - ahah! This color looked nice in the packaging, and isn't too bad on my skin, but it quickly turned from a dark muted pink to a bright rose once applied and set on my lips. I'm unsure whether or not I'll continue to wear it, but for scent evaluation purposes I'd like to add that I think this crayon smells like strawberries - yum! This was a bit of a surprise to see in a scent box as well, but upon opening the tub I was very pleased with the fresh scent. This is seemingly a bit of a typical aloe vera gel, with a few extra "green foods" extracts to pack a bit more of a nutritious punch. I've been using it as a daytime moisturizer for my oily face, and I am happy with it. It absorbs quickly without leaving my skin feeling tacky or like it has a lot of product on it, like other moisturizers do. I'm usually pretty "meh" about body lotions, but this one absorbs very quickly and instead of leaving my skin feeling too moist or sticky, my skin just feels soft. It smells a bit like baby powder with a hint of musk. I found the scent to fade shortly after the lotion absorbed into the skin. This is a nice mist that could have been received in one of six different scents. The scents are listed on the info card, however there is no identification on the bottle of spray to indicate what it might be, so this product turns into a fun guessing game! I think I received either the rose bouquet or the floral scent. It's a nice smell either way that sort of smells like flowers. It's for use on body, clothing, or hair - but I've actually been spraying it in my room when get ready in the morning and in the evening just to lift my spirits a bit. 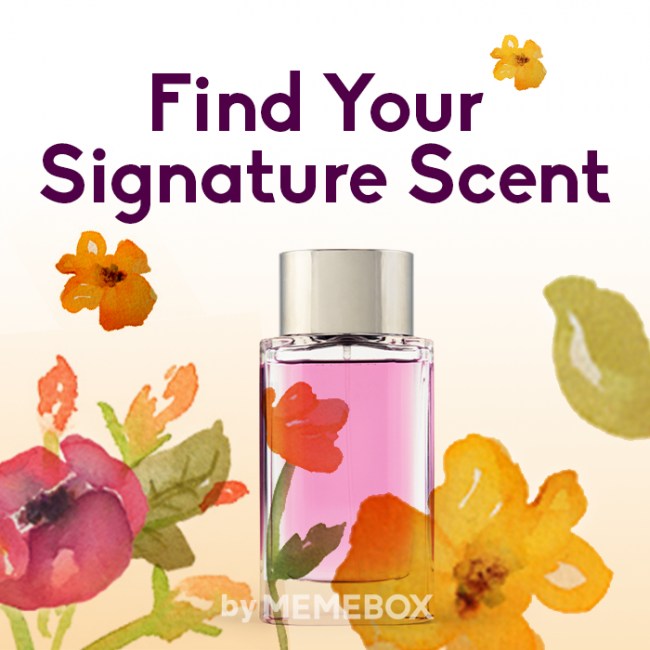 What do you think of the "Find Your Signature Scent" box? These products looks great- love that they are full size. 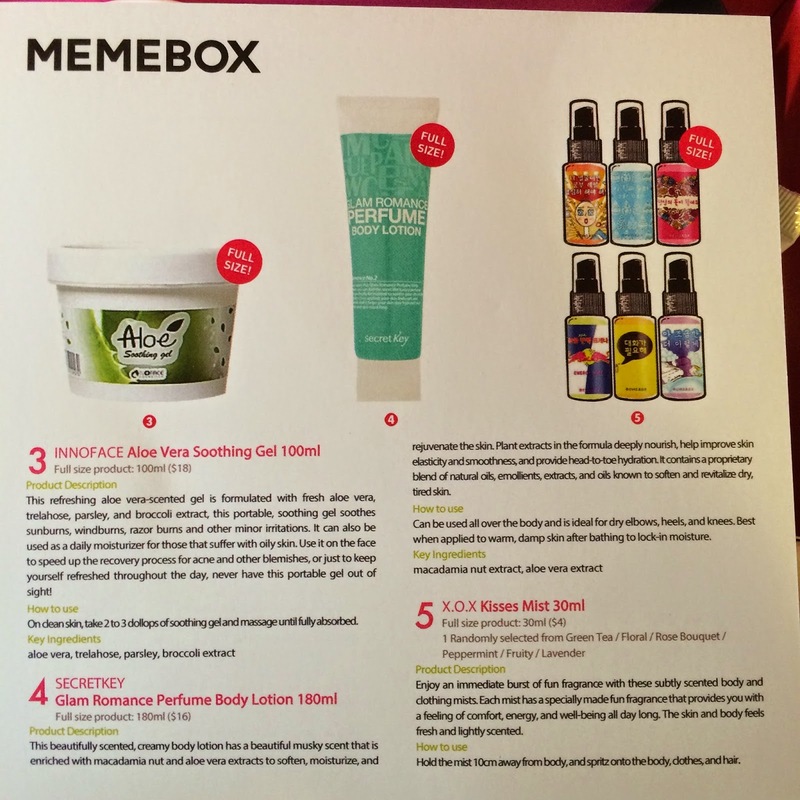 Hmmm, my signature scent- something floral with a hint of spice.